By Changing Number Of Parameters. Following are the types of method overloading. Method Overloading by changing number of parameters. 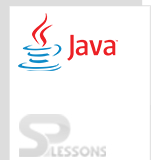 Overloading in Java, here developer is changing parameters of the program as below. Where developer used two methods with the same name that is void sum() and given different parameters such as int a, int b, int c.
Where created one object called obj, by using this object method has been called. Method Overloading by changing the data type. Overloading in Java, As explained in the above program where change the data type as double and float then observe the result. Where the developer has changed data type from integer to double and float. Is method overloading possible by changing the return type. No, Overloading in Java concept if any one removes the return type, then compile error will become as follows. This code can not be compiled why because it gives compile time error, there is no return type with a name void. Overloading in Java, main() overloading is possible here as follows. In Java one can main method as follows also. Where main() has been invoked, when compile the code output will be as follows. Overloading occurs at compile-time where as overriding occurs at run time. Static methods can be overloaded but where as static methods cannot be overridden. Overloading is being done in the same class but where as for overriding base and child classes are required. Static binding used by overloading and dynamic binding used by overridden methods. Private and Final methods can be overloaded but they cannot be overridden. Overloading in Java is nothing but having same method with various parameters. Overloading is not possible once any one change the return type of the method.